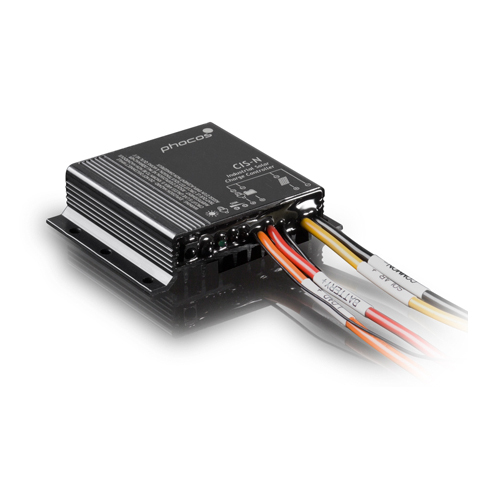 The Phocos CIS charge controller features a single load timer, for one dimmable load . The CIS has no moving parts, switches or buttons. Settings such as battery type, deep discharge thresholds, timers, etc. are made quickly and easily via infrared remote control accessory. Phocos-CIS-N single-load version with negative grounding: comes with a control output for dimmable loads (lamps, etc). Phocos-CIS-N-2L dual-loads version with negative grounding: available here.